Court Ordered Home & Land Online Auction — Harritt Group, Inc.
10% non-refundable down payment due within 24 hours following auction, balance due in 40 days. Taxes prorated to day of closing. Possession at closing. Selling as is without contingencies, all inspections welcomed prior to auction. Selling online 4.7 wooded acres in Floyd County with a 1960’s Bedford stone ranch with attached garage and full basement. Located just 1.8 miles West of I-64 Georgetown Exit #118. Court ordered by the Honorable Judge Basil H. Lorch III – Case No. 14-92267-BHL-13. Great opportunity for homeowners and investors! 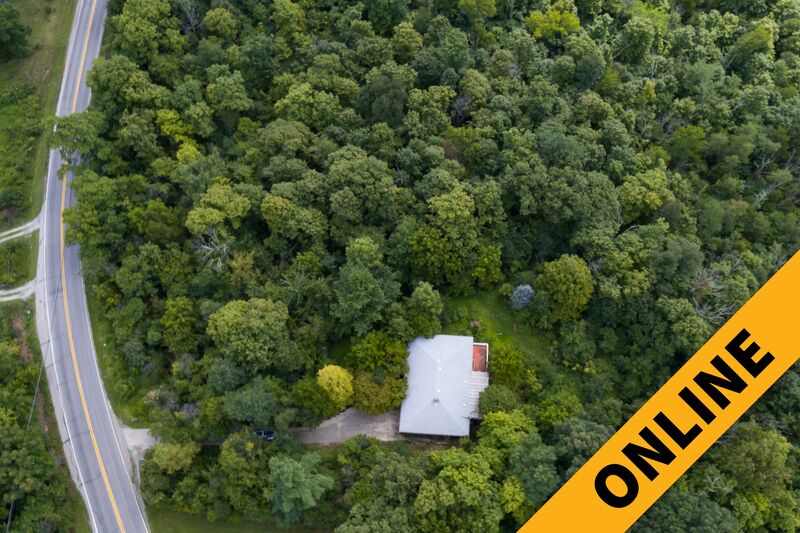 Built in 1960 this stone ranch features 1400 square feet on the main level plus attached garage, greenhouse and full basement on a secluded and wooded 4.7 acres in Floyd County. This Bedford stone ranch is in need of renovations but has lots of potential – it features 3 bedrooms, 1 full bath, eat-in kitchen, living room with wood stove, wood floors, enclosed porch, attached greenhouse plus elevated concrete deck overlooking woods. The full basement with laundry area has outside entrance to patio. Home has an LP gas furnace, central air, and electric hot water heater. I-64 to Edwardsville Exit # 118. West 1.8 miles on State Road 62 to property on left.